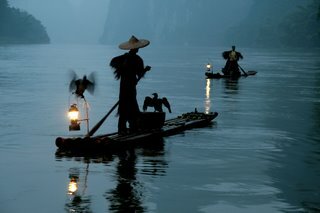 Just as Xian is a must when you travel to China, so is Guilin. The stunning landscape in which the city is situated has a kind of magic that is all its own. The strangely shaped hills, or karsts, with the verdant vegetation ranging from bamboo to conifers together with wonderful caves make Guilin such an attraction for tourists.Located in the northeast of Guangxi Zhuang Autonomous Region, Guilin is considered to be the pearl of China's thriving tourist industry on account of the natural beauty and historic treasures. Covering an area of about 27,800 square kilometers (10,734 square miles), the city is rather compact when compared with other leading cities in the country. However, situated within this area one may find green mountains, crystal clear waters, unique caves and beautiful stones. Major attractions include Elephant Trunk Hill, Li River, Reed Flute Cave and Seven-Star Park that boasts a Stone Museum where amazing geological finds are displayed. Believe that each of these places and many other attractions will leave you the lasting memories.Guilin is also an important cultural city with a history encompassing more than 2000 years. The city has been the political, economic and cultural center of Guangxi since the Northern Song Dynasty (960-1127). Solitary Beauty Peak is considered to be the oldest place of interest and has been so since the far off days of the Southern Song Dynasty (1127-1279). The prosperity enjoyed by the city during the Ming Dynasty (1368-1644) is epitomized by the Tomb of Prince Jingjiang.The many ethnic minorities represented here that include the Zhuang, Yao, Hui, Miao, Mulao, Maonan and Dong enrich the cultural life of the city. Each minority has its own unique customs and festivals and this means that they are much more abundant here than in many other places elsewhere in China. Travelers can enjoy these pageants at the Li River Folk Customs Center.Guilin is a well-developed tourist center with convenient transportation, communication and accommodation facilities. You can enter Guilin by air, by train or by bus and get around on free buses. From luxury hotels to hostels, from splendid restaurants to local snacks, you are sure to find that your needs will be met beyond your expectations. Seven-Star Cave is an extensive limestone cave complex in Seven-Star Park, both of which are popular tourist attractions in the city of Guilin in Guangxi province in China. The park and cave's name derive from the fact the main karst limestone peaks roughly resemble the stars of the Big Dipper constellation. 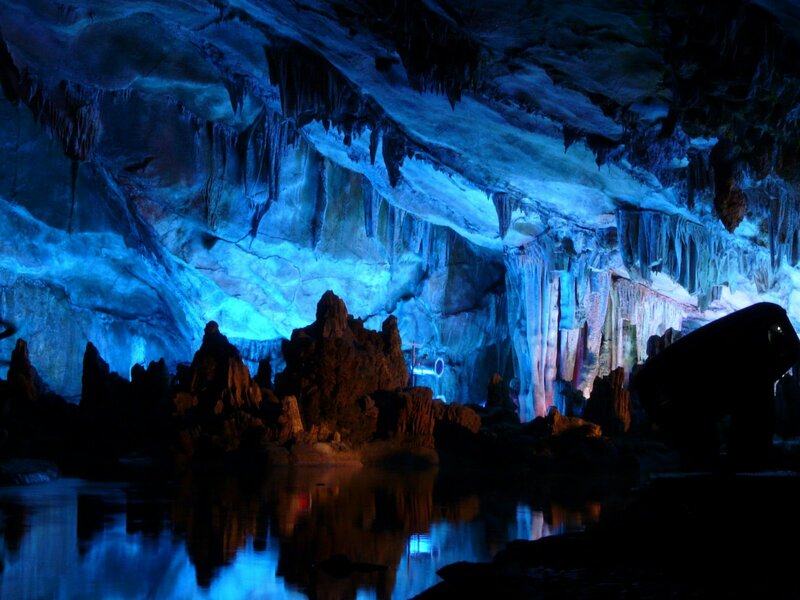 The earliest exploration of Seven-Star Cave dates back to the Tang Dynasty, about 1,300 years ago.The cave has a year-round temperature of about 20 Celsius. The maximum ceiling height inside is 27 meters, and the maximum width is 49 meters.A concrete and stone tour path of approximately 1,000 meters runs through the cave between its entrance and exit points. Artificial lighting for walkways and displays is staged throughout, including colored accents, and various formations have names such as "A Natural Fresco" and "The Chessboard". During the Japanese invasion of China in World War II, Guilin residents took refuge in the cave complex.The cave has scheduled tours about once an hour, conducted in Mandarin Chinese, usually with a megaphone, irrespective of group size, explaining in detail the origins of various formation names, such as a dragon eating a bear, or a bear catching a tiger. The tour can be walked independently of groups, as signs are posted in both Chinese and English and takes typically 30-60 minutes. Elephant Trunk Hill is located on the western bank of Li River. The shape of the hill is just like a huge elephant drinking water from the river with its trunk, so it is called Elephant Trunk Hill. Shui Yue Cave (Water Moon Cave) is between the trunk and the legs, which is a semi-round cave penetrated by water. The inverted reflection of the cave in water plus the part above forms a full moon. This phenomenon is unique and many laudatory inscriptions were found on the wall inside the cave. Visitors can boat through the cave to the river.Another cave regarded as the eyes of the elephant lies in the hillside. It provides tourists an ideal position to enjoy the panoramic view of Guilin.On the top of the hill is a two-storey pagoda built in the Ming Dynasty (1368-1644) surrounded by green trees. The north seat of the second floor is inlaid with an image of Bodhisattva Puxian. The pagoda looks like a precious vase on the back of an elephant seen from distance and many beautiful legends about the pagoda with good wishes are said among people.As the symbol of Guilin, Elephant Trunk Hill is the main scenic spot of the Elephant Trunk Hill Park, which also includes Yunfeng Monastery (a building with ancient style), Aiqing Dao (Love Island) and so on. Originating from Maoer Shan (Cat Mountain) in Xing'an county, north of Guilin, the Li River winds its way south for about 437 km, passing through Guilin, Yangshou, Pingle and Zhaoping, and finally meets the Xi (West) River at Wuzhou. It boasts the largest and most beautiful scenic area in China and attracts thousands of visitors each year.The 83-kilometer-long waterway from Guilin to Yangshuo is like an artist's masterpiece. The landscape is decorated with startling hills, steep cliffs, fantastic caves and farming villages, and is lined with bamboo. In a Chinese poem it is written: "The river is a green silk ribbon, and the hills are jade hairpins".Most cruises starts from Zhujiang Wharf. It is about 40 minutes' drive from Guilin city. 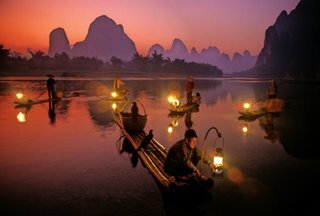 Then a 4 to 5-hour cruise will take you to the beautiful and fasciniating county town of Yangshuo. 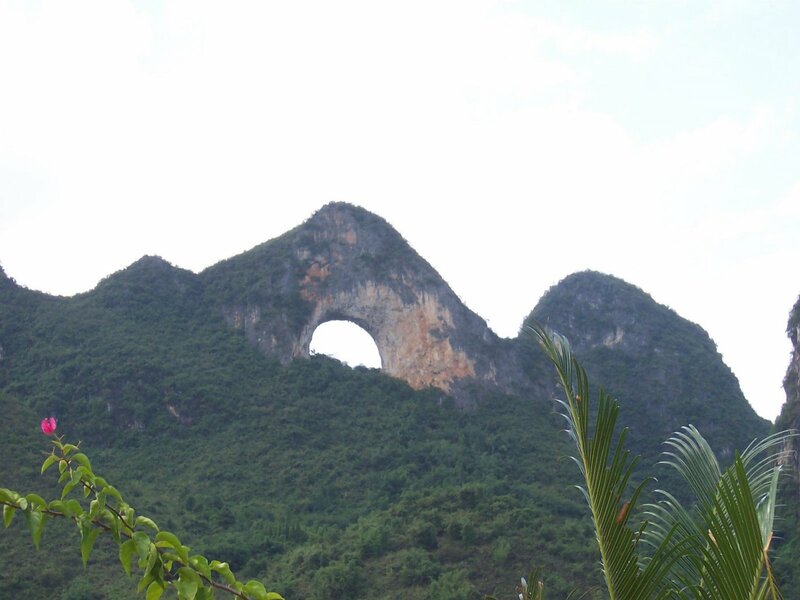 One kilometer to the south of the Big Banyan Tree, 50 minutes’ bike from Yangshuo, there lies the Moon Hill. Named for the crescent shaped cave running through the moon, Moon Hill is one of the highlights in Yangshuo. The journey up to the summit is an arduous one which covers 800 steep steps. The scenery overlooking the countryside through the half moon, however, is well worth the trek, which is probably the best you will get in the area.At foot of the hill lies a tiny village called Moon Hill Village. The village offers a haven for those who would like to stay off the touristy places and around Yangshuo. It is a tranquil village free from the pollution, stress and turmoil that plague most of the cities we live. The traditional life style continues as time stands still here.